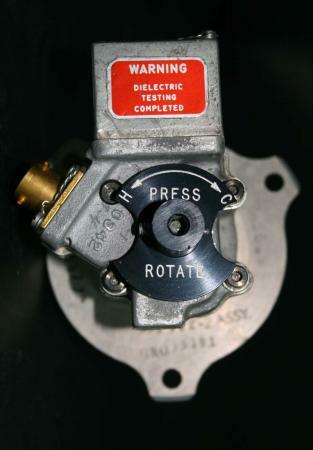 The motor-operated valve is manually controlled by the back-up mode control knob. Rotational movement from H to C is approximately a ½ turn with the dual valve on a single shaft permitting water-glycol flow to route to the heat exchanger. Rotation toward H (heat) position results in proportional increase in cabin temperature by directing warm water-glycol to the cabin heat-exchanger. Rotation towards C (cool) position results in proportional decrease in cabin temperature by directing cool water-glycol to the cabin heat exchanger.